Wow. Just wow. 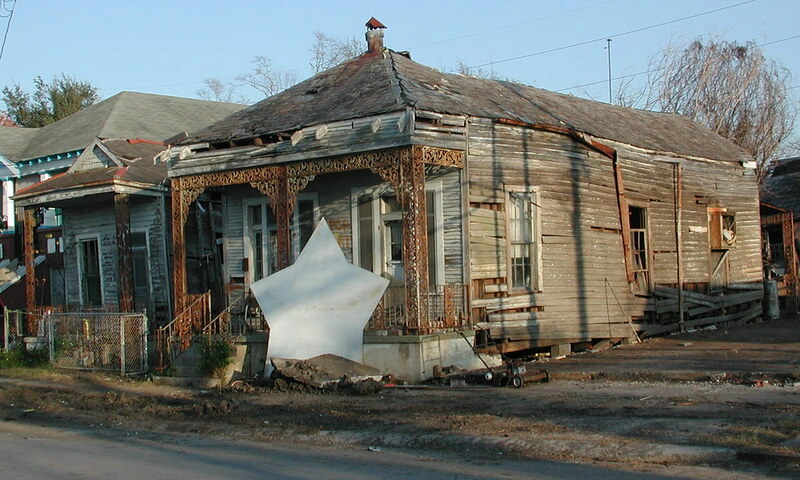 I’m not sure this picture fully captures the beatdown, ramshackle, dilapidated look of this poor old house. It literally stopped me in my tracks when I rode past on my bike. This is in my neighborhood, but I’d never seen it before. I didn’t talk to any of the immediate neighbors, but I’ve got a suspicion that they’d say it looked pretty much the same before Katrina.